Right? I didn't see it either at first - for a long time. Have you cracked one of yours? Do you get the malt extract / vanilla bomb flavor profile? I'd love to hear some tasting notes from the handful of other people who ended up with bottles of this rare stuff. Yeah, I'm half way through my bottle. I tend to drink my rare whiskies pretty quickly. The nose instantly reminds me of the 2013 Pappy 20 year. Uber rich caramel and oak with a touch of pungent Elmer's glue (in a good way). The mid palate is super thick and mouthcoating. The finish is just waves of caramel, marshmallow sauce, subtle mint notes, buttered popcorn and just a kick of heat on the tail end. After approx 90 secs, my palate is full of nuttiness that just lingers. I love this bourbon! As to your point about the potential vanilla bomb/extract theroy, I'm not so sure given what happens to old bottled whiskies this old, but I'm not ruling it out completely. Fun topic! I have thoroughly enjoyed reading through your posts regarding Old Ren....most especially because "Old Ren" was my Great Uncle. 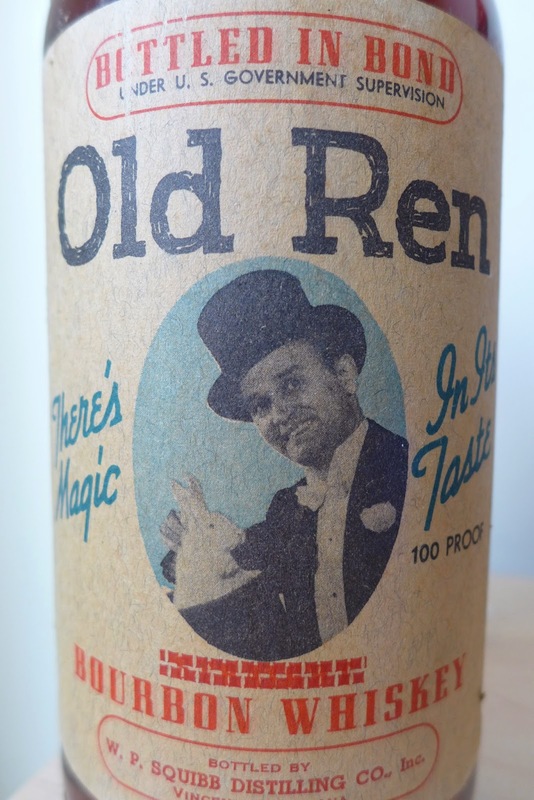 At any rate, I would love to be able to procure a bottle of Old Ren to add to my collection of family mementos. Do you happen to know of any collectors who would be willing to sell a bottle of it, or any place I should be looking for one to pop up for sale/auction? Many thanks! Andy - I'm jealous you had such a cool uncle. His personality comes through loud and clear in the Ft. Worth papers and the Magicpedia. 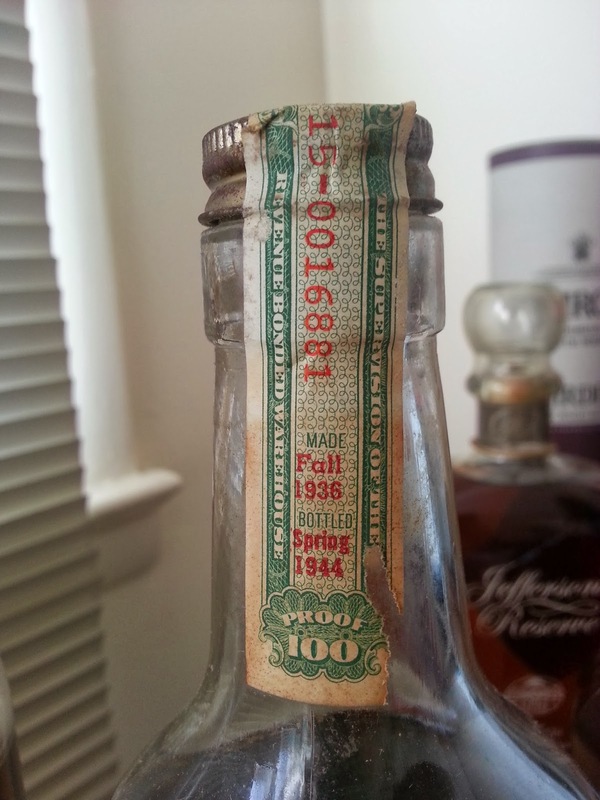 I suspect the Bourbon was a lark or a bit of marketing, but in my prior post about it I speculated that he picked a mature bottled in bond selection because he must have loved Bourbon. In any of your recollections of your Great Uncle do you ever recall seeing Ren enjoying a drink? Do you recall if it was Bourbon? (and the trifecta...) If so, was he having it neat? On the rocks? With soda? Last autumn Bonhams auction house in New York sold 12 bottles of Old Ren. I, personally know where a few of these bottles reside (in the hands of private collectors of excellent standing). The rumor is that the consignor was in Old Ren's family too (and somehow ended up with this part of the estate) and had more, which could end up in a future auction. Joe Hyman of Bonhams handles their American whiskey auctions and would be in a position to illuminate that topic or at least notify you if lots of Old Ren come up: he is at joseph.hyman[at]bonhams.com. 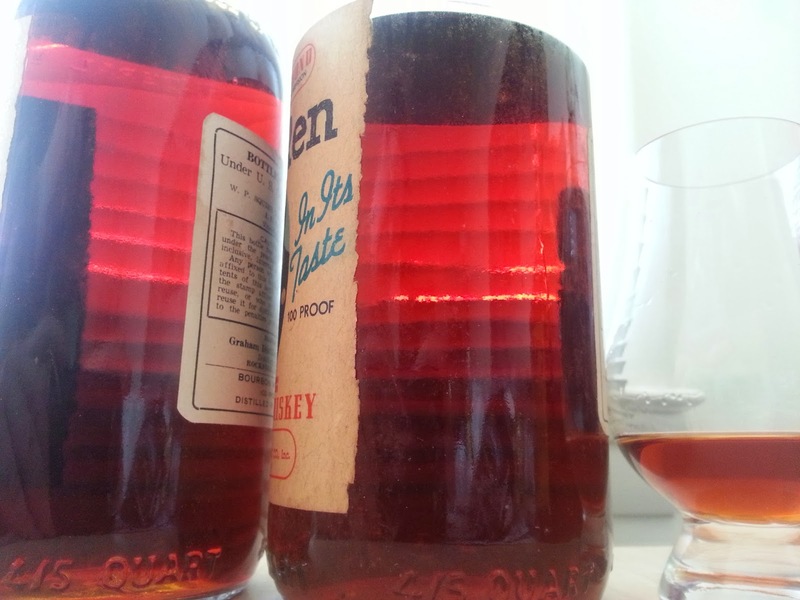 Remember that Old Ren Bourbon was a one-off private bottling run. Thus the bottles coming out of this particular consignor are probably the only ones in existence. Old Ren is special not just because of the man Ren was, but also because they are the only bottles of whiskey produced at the Graham distillery in Rockford Illinois that I am aware of. Although, as I make clear above, I'm not certain whether Ren might have spiked these bottles with vanilla or not! Thanks for the tip on Bonham's. I'll keep my eye on their site and maybe a bottle will turn up. I might drop Joseph a line too. I'll also check around with family I haven't seen/talked to in a while and see what might still be floating around amongst the family. Even if it's an empty bottle, it would still be great to have (though I'm eager to try it after reading your notes on it.) Thanks! In trying to figure out the Old Ren mystery my main questions are 1) why Bourbon? Why not vodka or gin or rum? 2) why very mature Bottled in Bond Bourbon (the most expensive kind) rather than the popular cheaper blended Bourbons of the time, and 3) why THAT Bourbon (i.e. Grahams of Illinois). 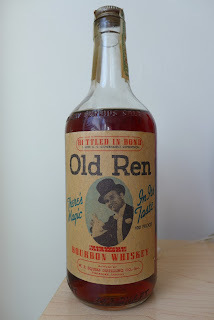 In my main post about Old Ren (http://www.cooperedtot.com/2013/11/old-ren-bonded-bourbon-antique-and.html) I review the case. Ren owned a famous Tiki bar in Ft. Worth that served libations in the now-extremely-collectible "Severed Head" mugs. This puts Ren in close contact to the vanguard of the rum-based Tiki cocktail culture. But Ren had bought this Bourbon run in the decade before the Tiki bar. The year of bottling corresponds with the year Ren was on the cover of Genii magazine - a huge honor. This gives the bottling the feeling of a celebration. The choice of Graham Distillery of Rockford Illinois seems clearly related to the fact that Ren lived in Rockford during the period this whiskey matured there. Perhaps Graham only offered BIB? Perhaps Ren purchased a barrel and it was simplest to bottle a single barrel as BIB? Perhaps Ren spent more because he wanted to the BEST to celebrate his ascendancy in the magic world and to represent the "brand" of his persona? We may never know. 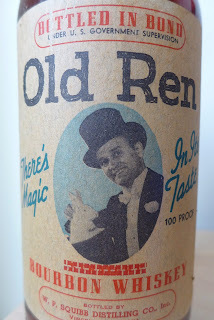 Given the eventual Tiki connection, I wondered whether the choice of Bourbon was a personal predilection of Ren's or was just the "flavor of the moment" in the early 40s. No matter. Anyway - a fascinating and compelling man and a fascinating and compelling and rather tasting bottling of whisky. 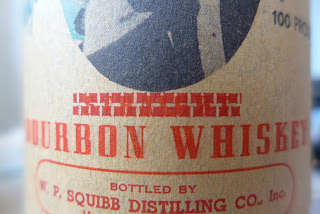 E-mail me at josh[at]cooperedtot.com and I'll arrange for you to get a taste of the whiskey and I'll help keep a look out for a bottle for you - either empty or full. Personally, I'm going to keep my empty bottle as this story is too near and dear to my heart to part with it. 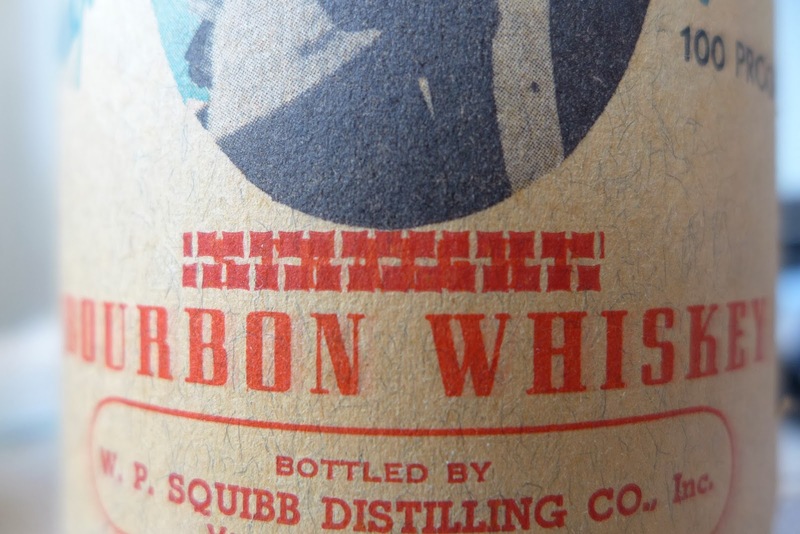 An old thread, but the reason why prior to some time in the 60s, just about all American whiskey was BIB was that unless it was stored in a special government-controlled warehouse under bond, tax had to be paid when it was made. Now, all distilleries have bonded space on site, but that was not always a requirement. And at the time the Old Ren was made, the law said that whiskey could only be bonded for 8 years before tax had to be paid, so a 7.5 yo barrel was about the oldest juice a distillery was likely to have on hand. Excellent point, Chris! I hadn't connected the earlier shorter BiB period with the age of this whiskey but it's correct and makes perfect sense.